Twenty years ago marked a turning point for San Mateo County’s park system, which was then showing the strain of a decade of declining funds and increasing use. In the 1990s, revenue allocated to local governments was shrinking and mandated expenses growing, leaving little left for the county’s 19 parks. By 1998, park use boomed to more than 3 million visitors a year, yet inadequate funding led to reduced staffing and a backlog of nearly $25 million in deferred maintenance, improvements and programs. To meet this increasing demand, a volunteer committee made up of various park constituencies and led by Linda Dyson-Weaver, a member of the county parks commission, was created to investigate both tax-based and non-tax-based ways to augment park funding. Early efforts to raise tax-based money failed, so the committee focused on raising private money by setting up what is now the San Mateo County Parks Foundation. Julia Bott, who had been involved in the effort as director of a local Sierra Club chapter, stepped off the committee to throw her hat in the ring to become the Foundation’s first executive director. She was hired in October of 1998 and remained at the helm until her retirement in 2015, successfully overseeing the distribution of more than $10 million to the county parks department. The Foundation’s first office was at Flood Park in Menlo Park, and new playground equipment for Flood and other parks to meet newly mandated ADA requirements was among the Foundation’s first fundraising priorities, as were shade shelters at Huddart Park, seismic updates and a new roof at Sanchez Adobe and equipment for volunteer crews. 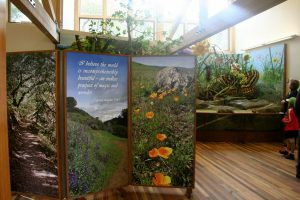 In its first year, the Foundation raised nearly a quarter million dollars in donations and pledges, presenting its first gift to San Mateo County Parks in August of 1999. Just three years after its founding, gifts to the Foundation topped $3 million. 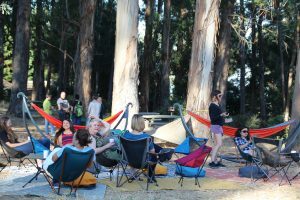 In 2002, fundraising for the Foundation’s largest project to date began, culminating 9 years later in April 2011 with the opening of the Bill and Jean Lane Education Center at Edgewood Park and Natural Preserve. 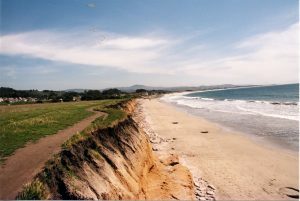 Also in that first decade, the Foundation contributed funding for the acquisition and planning of Mirada Surf, one of the few undeveloped coastal bluffs in the region and an important connection point for the California Coastal Trail. Tour de Peninsula, thanks to bicyclists and sponsors, raised nearly $20,000 to support Bicycle Sunday and other park programs and the Foundation provided a matching grant for the planning needed to extend the heavily used Crystal Springs Trail south of Highway 92. Habitat restoration to support the successful reintroduction of the endangered Bay checkerspot butterfly to Edgewood Park was one of those quieter projects, as were other vegetation management and invasive plant removal efforts, new radios for trail patrols and other tools and materials to support the thousands of volunteers who serve our parks. By 2005, budget cuts stemming from the dot-com bust and ensuing downturn again reduced park staffing and progress on maintenance and improvement projects. That year, the Foundation, which had raised $5 million since its inception, stepped in to fill the gap with a gift of nearly $1 million to San Mateo County parks. 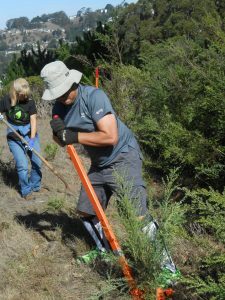 By its 10th birthday, the Foundation had raised $9 million and completed 30 projects, including improving trails, funding clean park maintenance tractors to reduce greenhouse gas and air pollution emissions, providing temporary access at erosion-damaged Coyote Point and installing salmon and steelhead migration culverts at San Francisquito Creek. Goals for the Foundation’s second act included a continued focus on habitat restoration, youth environmental education, funding conservation job training, building on already successful volunteer programs and breaking ground on the aforementioned Bill and Jean Lane Education Center. In 2012, more than 65 percent of county voters approved Measure A, a half-cent sales tax increase that promised some funding for parks. The Foundation played a central role in advocating for the passage of Measure A, recognizing the need for steady park maintenance and improvement funding. In addition to helping to clear a maintenance backlog, Measure A funds provided for missing trail connections, coastal habitat restoration and the addition of a natural resource manager to lead efforts to protect and scientifically manage sensitive park resources. In 2015, with the financial outlook for county parks much improved, Bott decided it was time to retire. Along with the Foundation board, she found a worthy successor in Michele Beasley, who is equally dedicated to inspiring people to care for, learn about and enjoy our parks. With the 2016 passage of Measure K, where 70 percent of county voters extended the half-cent sales tax increase for 20 years, parks funding is no longer on life support. The Foundation is now able to focus on expanding park access to get more people out into nature, building new partnerships with like-minded organizations like REI, sponsor of our Coyote Nights summer mixers and new trail signage, and supporting special projects that enhance the enjoyment of our parks. Edgewood Park, History, Mirada Surf, parks, Parks History, San Mateo County Parks, san mateo county parks foundation, Volunteers. Bookmark.